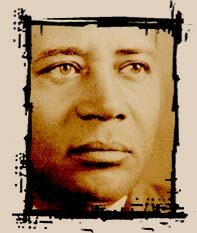 Charles Hamilton Houston was the chief attorney for the National Association of Colored People (NAACP). Houston was primarily responsible for developing the legal strategy that eventually led the United States Supreme Court to declare segregation in American schools unconstitutional. Houston was born in Washington, D.C., where his father was a lawyer. An outstanding student, Houston graduated as one of six valedictorians from Amherst College in Massachusetts in 1915. After teaching for two years at Howard University in Washington, D.C., he enlisted in the U.S. Army and was commissioned first lieutenant in a segregated training unit of the infantry. He was later commissioned as a second lieutenant in field artillery and served in France and Germany during World War I. Houston was outraged at the treatment of black soldiers accused of crimes. They were unfairly sentenced to long terms, often without evidence to substantiate the charges against them. Houston became determined to change things. Following his discharge from the army in 1919, Houston enrolled at Harvard Law School, where he was the first black editor of the Harvard Law Review. After being admitted to the Washington, D.C. bar in 1924, he practiced law with his father. He served as vice-dean of Howard University Law School from 1929 to 1935, during which time he shaped the school into a significant institution, training almost a quarter of the nation's black law students. He focused on civil rights law, a subject that was not part of the curriculum of America's law schools. Among his students were Thurgood Marshall, Oliver Hill, and Spottiswood Robinson, all of whom would play major roles in overturning segregation in the courts. From 1935 to 1939, Houston served as special counsel for the NAACP and became the architect of the legal challenge to Jim Crow. He felt that the weakest link in the chain of segregation was education, since black and white schools were unquestionably unequal in every Southern state. In Gaines v. Canada (1939), Houston argued before the U.S. Supreme Court that it was unconstitutional for Missouri to exclude blacks from the state's university law school when, under the "separate but equal" provision, no comparable facility for blacks existed within the state. The Court agreed. In methodical fashion, Houston applied his belief that if the NAACP could build up enough smaller victories in the courts, there would be enough precedents established for the Court to eventually declare all forms of segregation in education unconstitutional. Houston's efforts came to fruition only after his death in 1950, with the historic decision in Brown v. Board of Topeka Education (1954) decision. Segregation was prohibited in public schools, and soon it would be declared unconstitutional in all its forms.